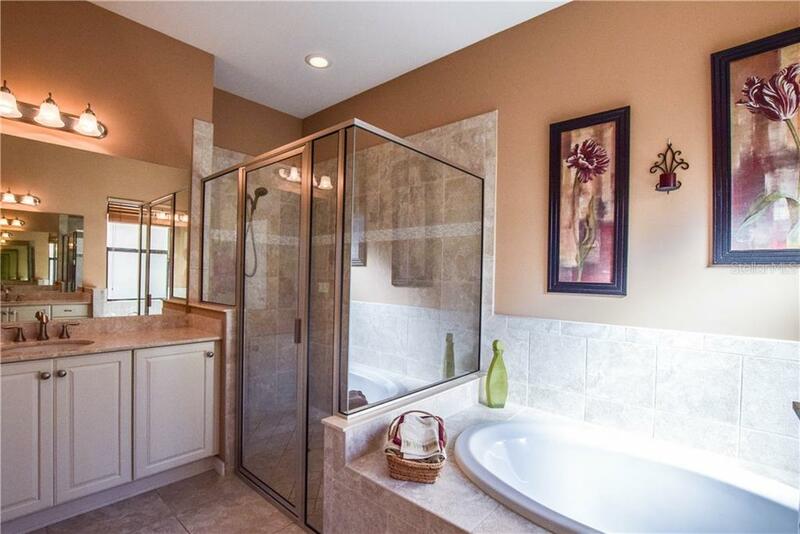 Ask a question about 23894 Waverly Cir, or schedule a tour. 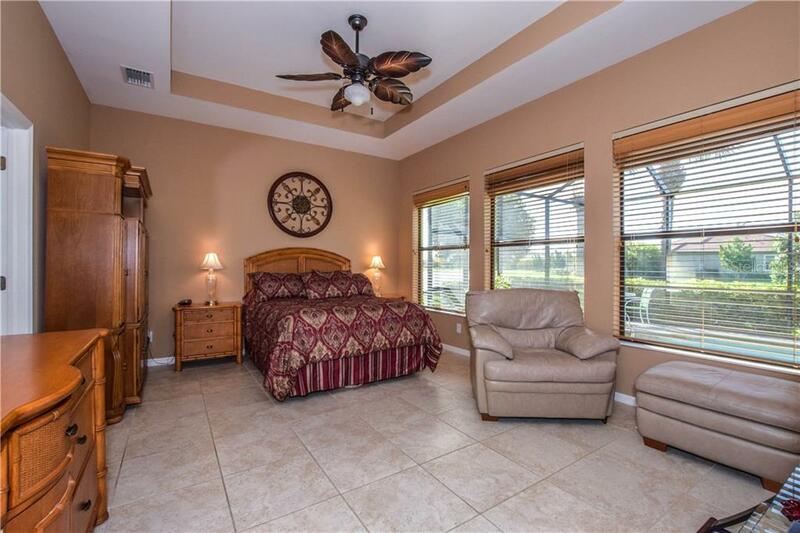 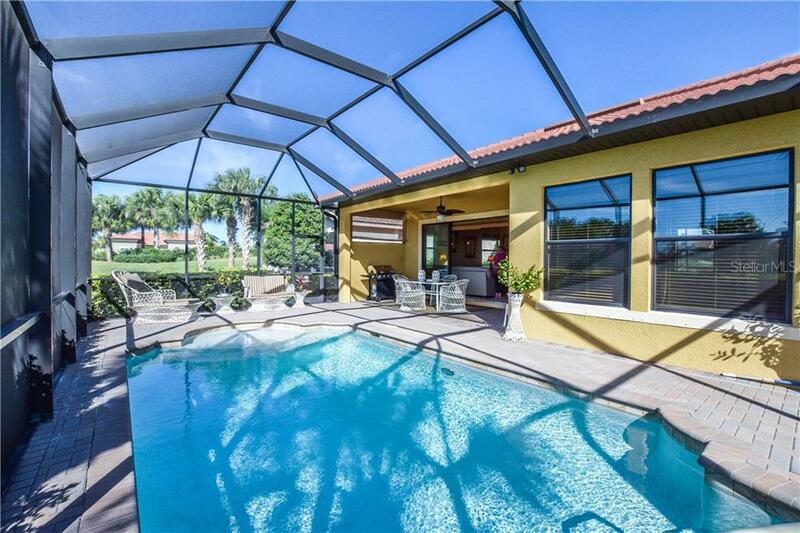 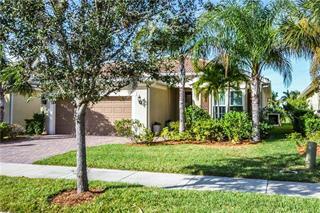 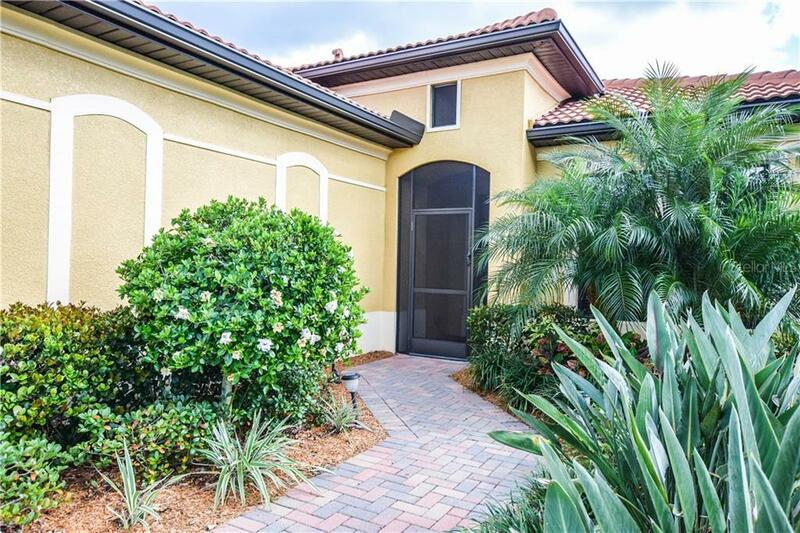 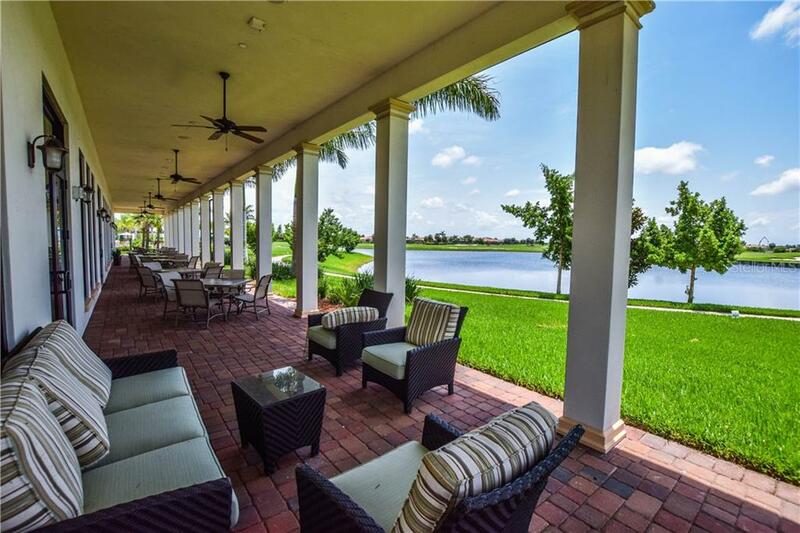 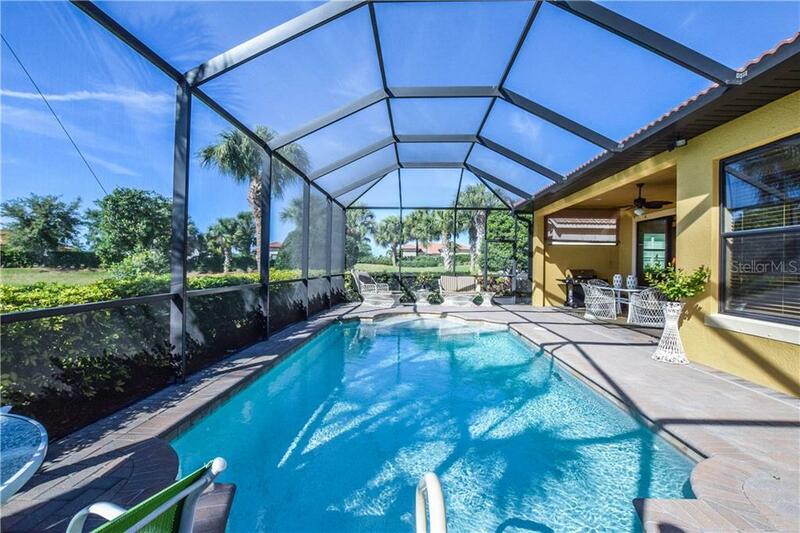 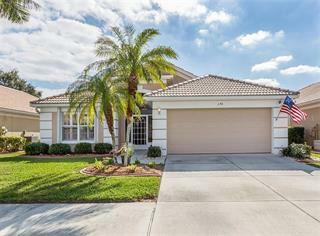 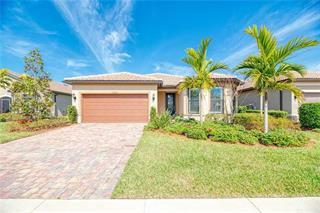 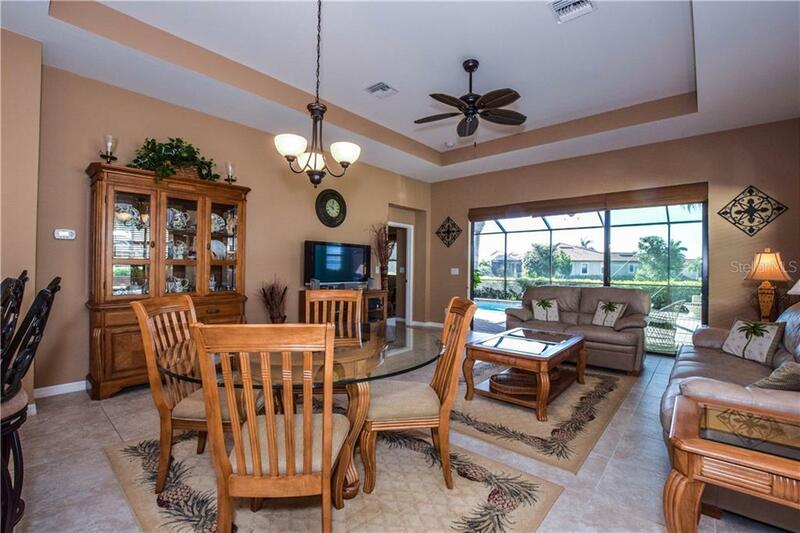 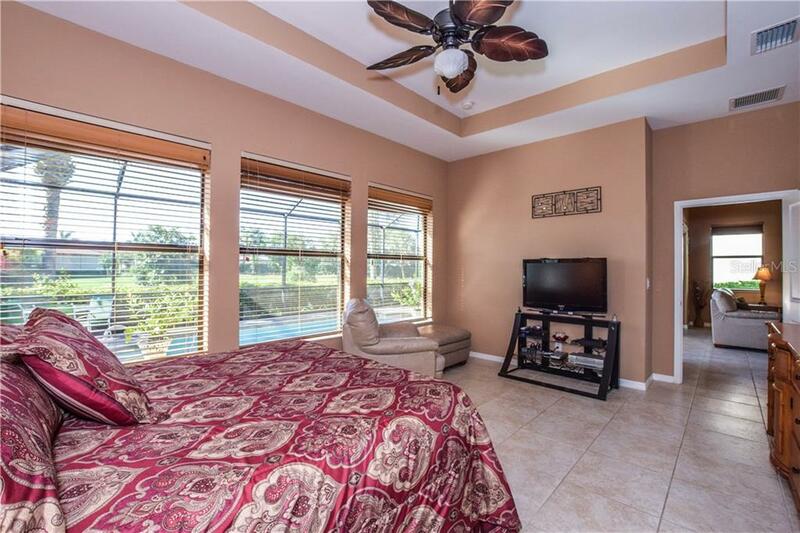 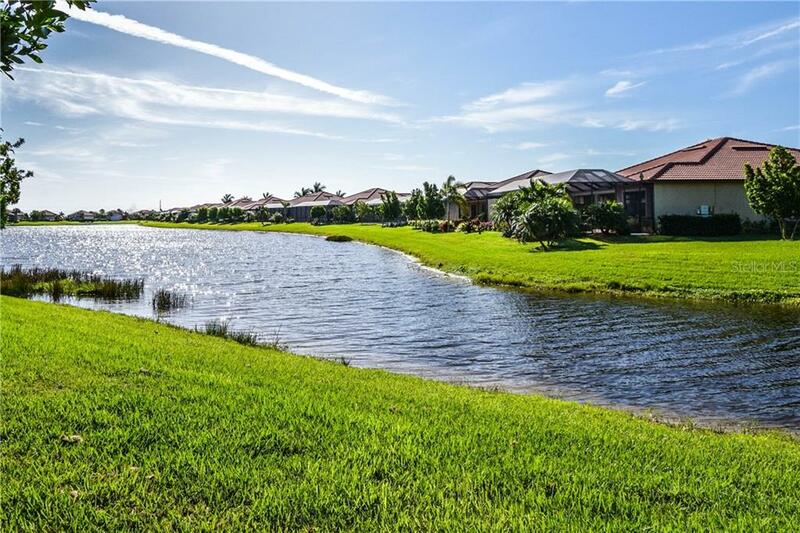 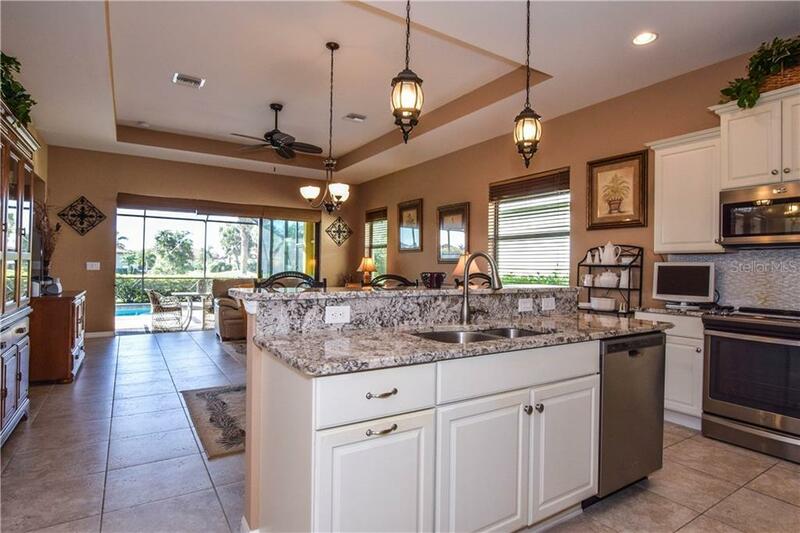 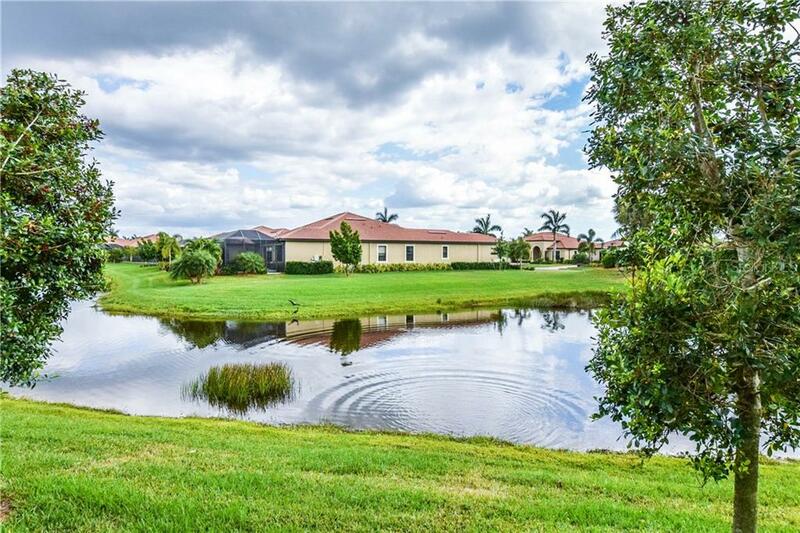 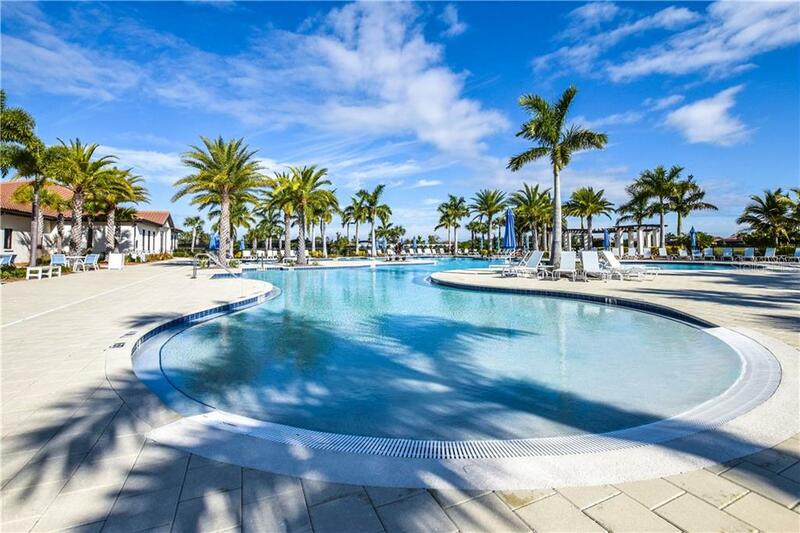 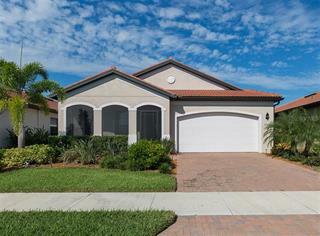 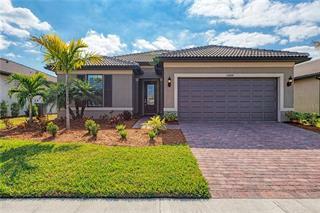 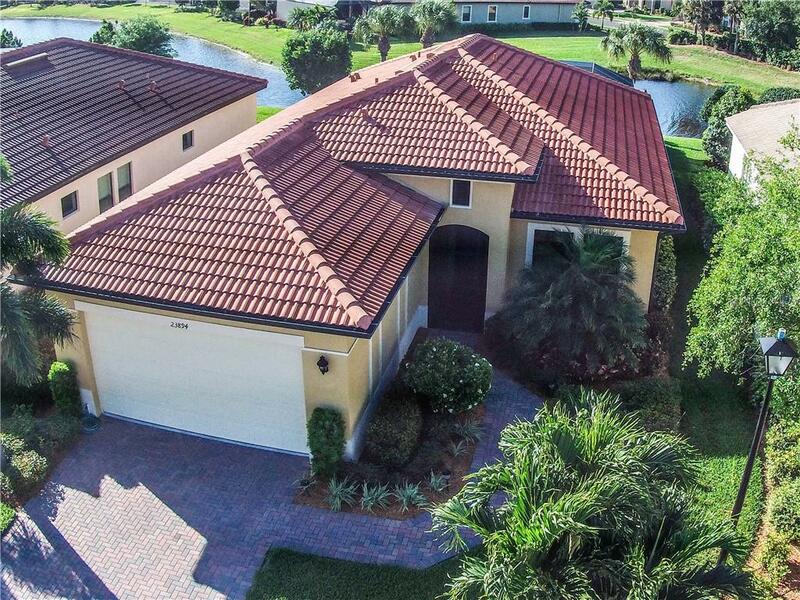 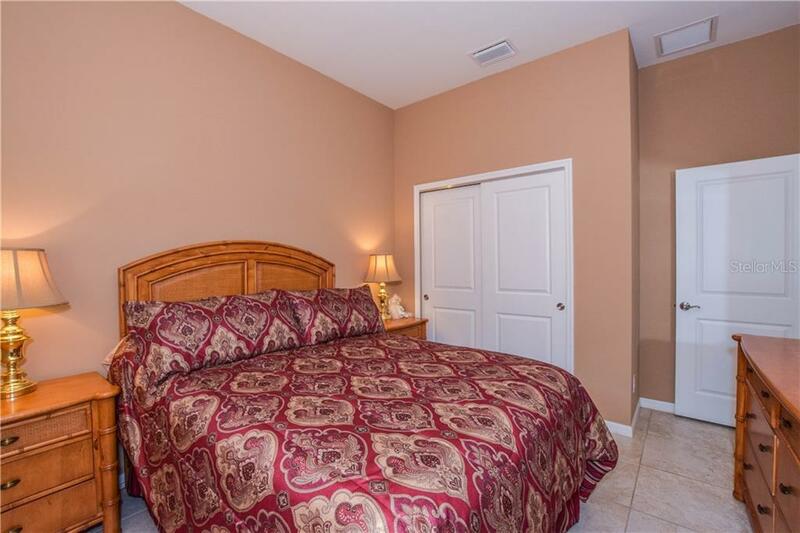 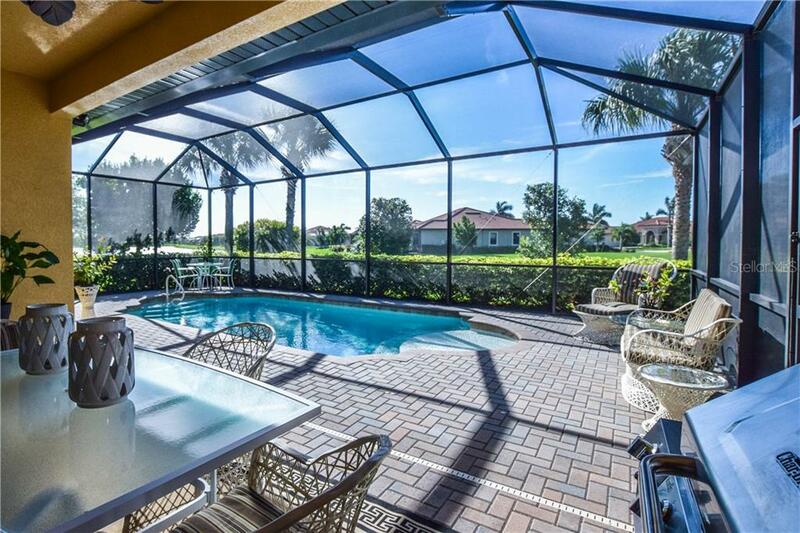 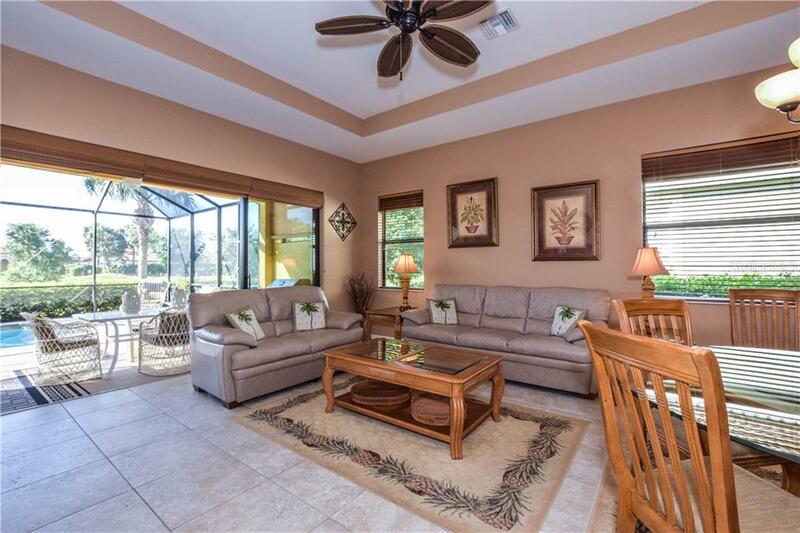 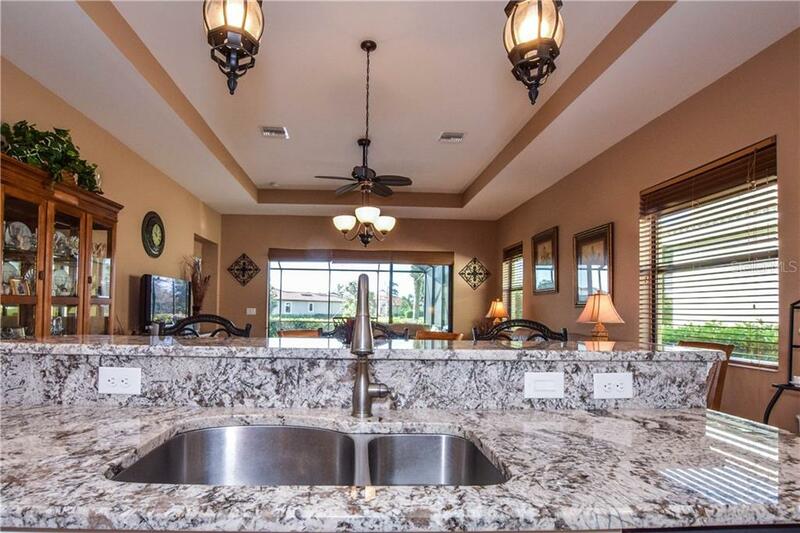 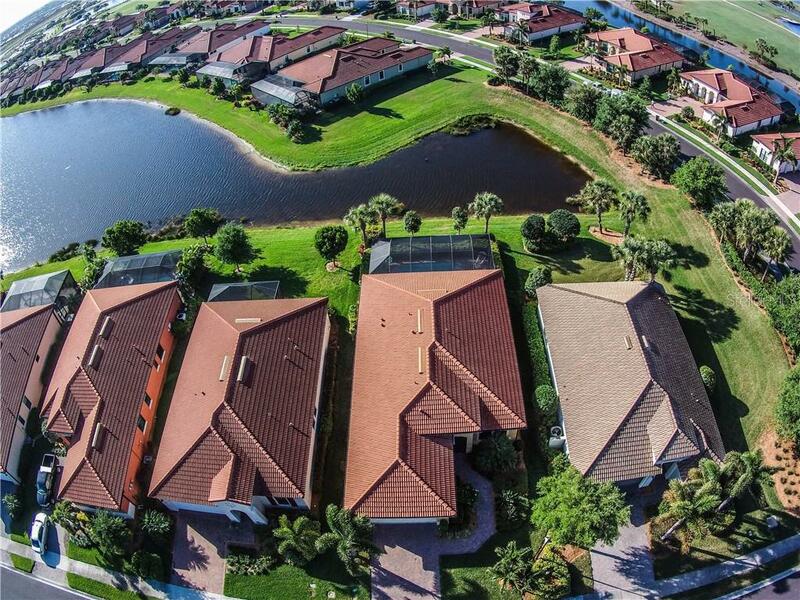 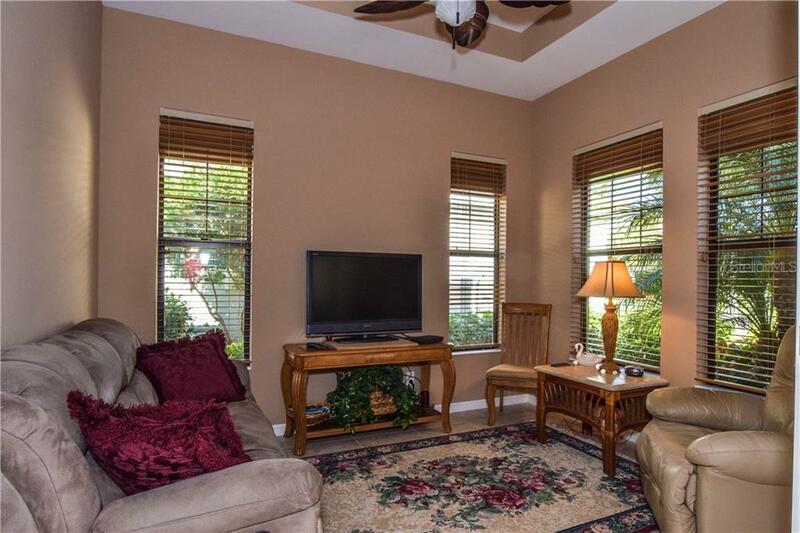 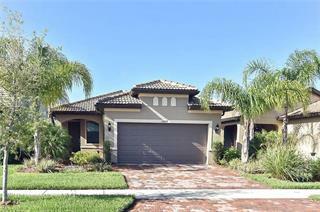 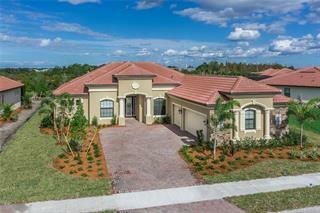 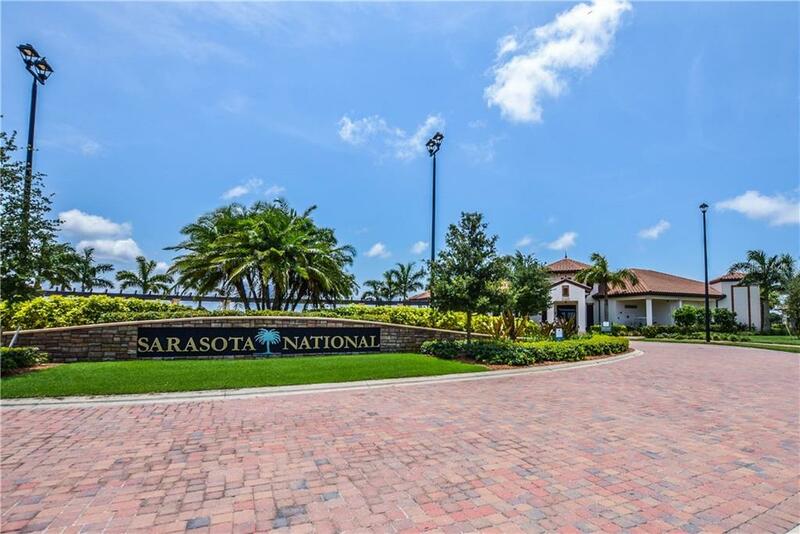 Highly desirable WCI Azealia floor plan located in the Golf Village of Sarasota National. 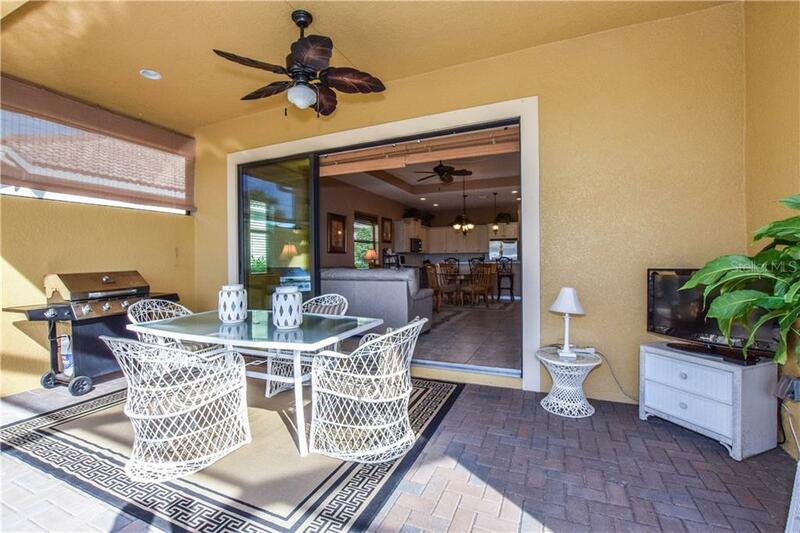 Enjoy the lake view from your beautiful screened lanai while you are sipping your favorite beverage! 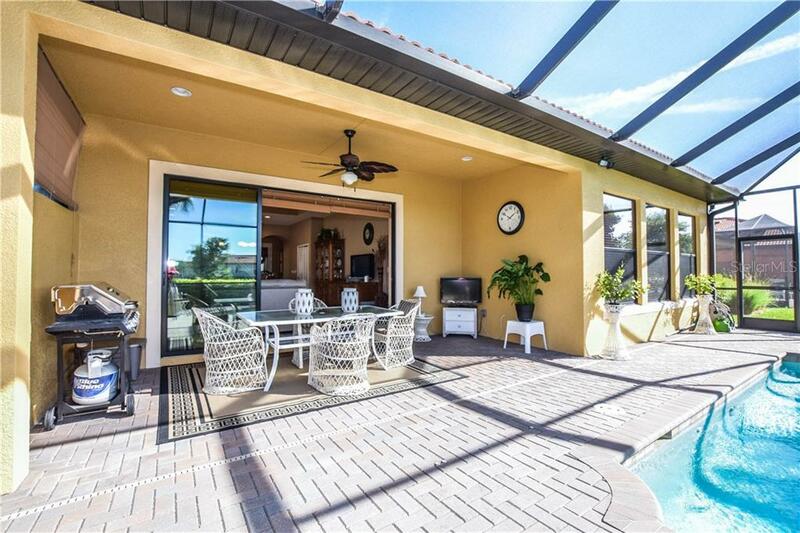 The Lanai features a swimming pool, with a s... more.un shelf, privacy wall and beautiful brick pavers to create great private outdoor living space. 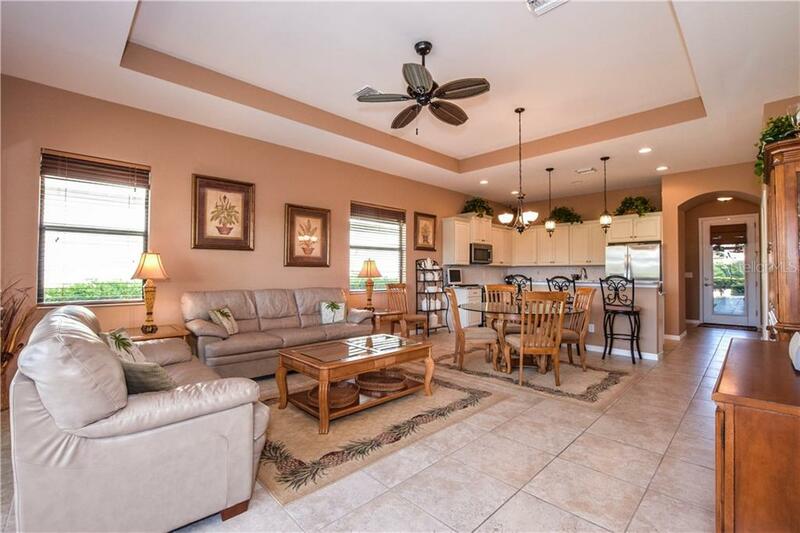 This 1867 SF home boasts 3 bed/ 2 bath a flex room to be used as a Dining room or Den. 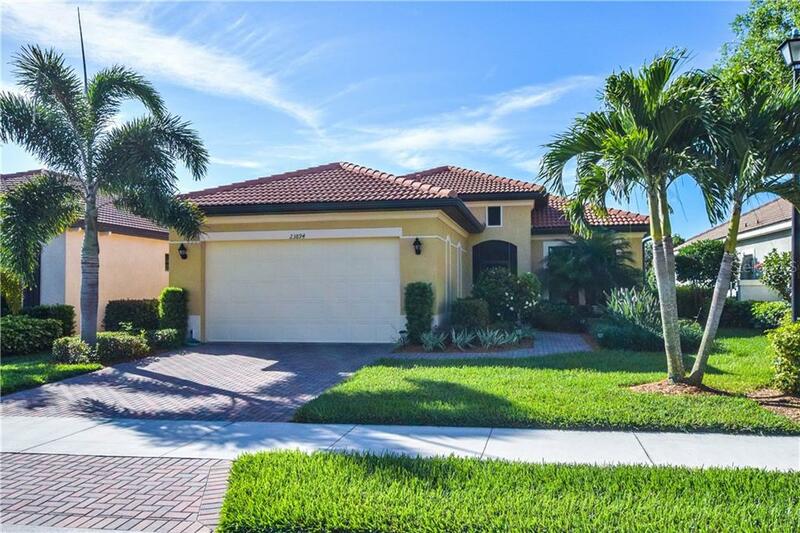 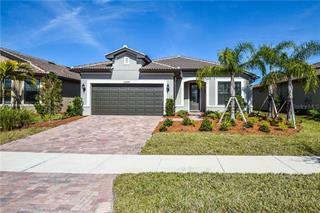 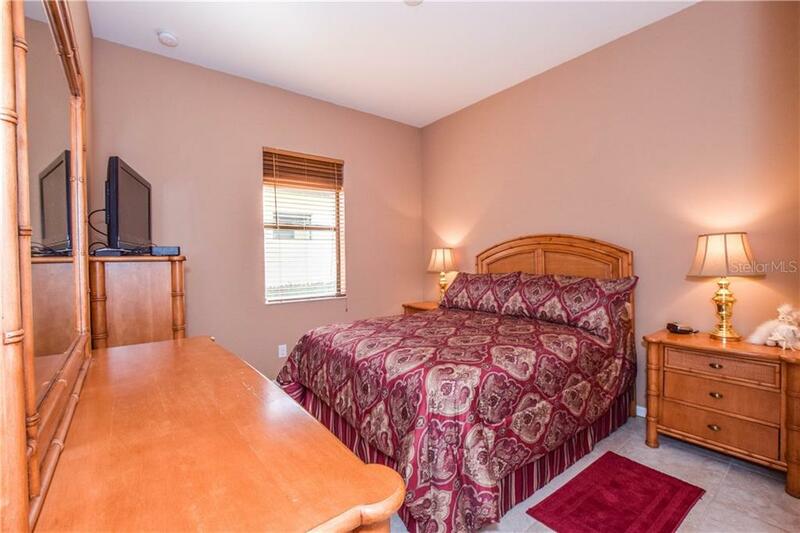 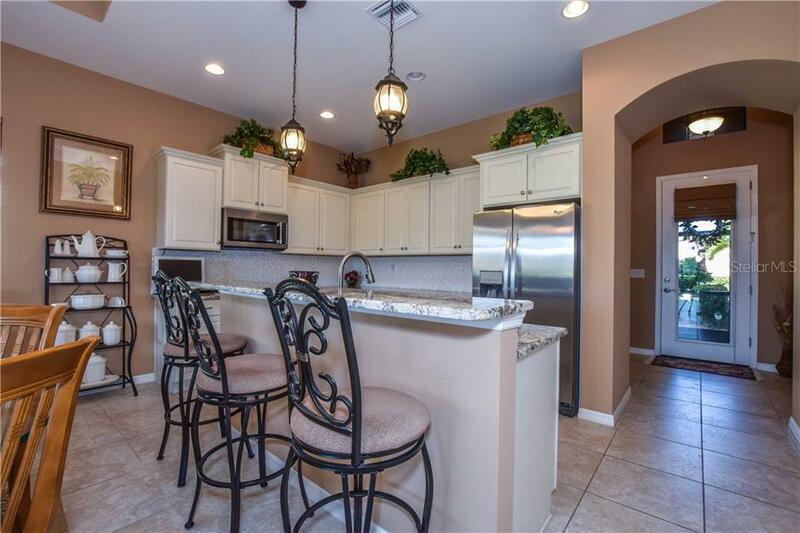 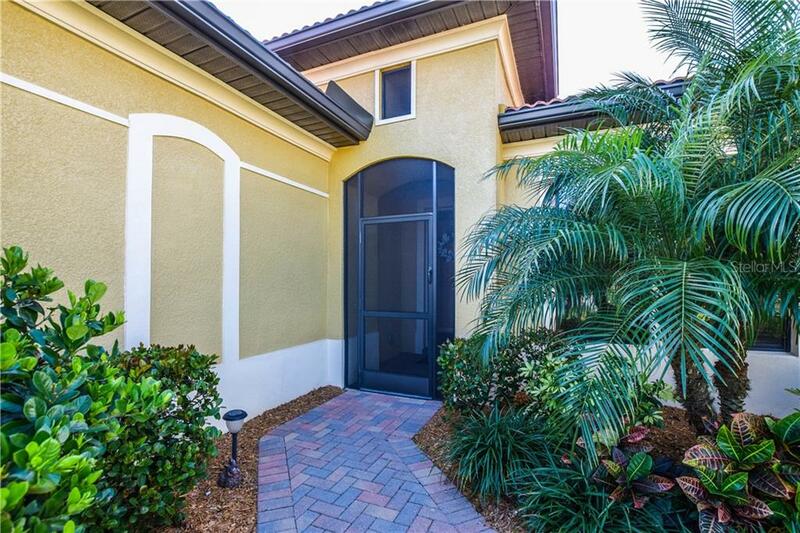 This home has been freshly painted and features 18x18 Porcelain tile throughout, 10 ft ceilings with tray ceilings in family room, master and den. 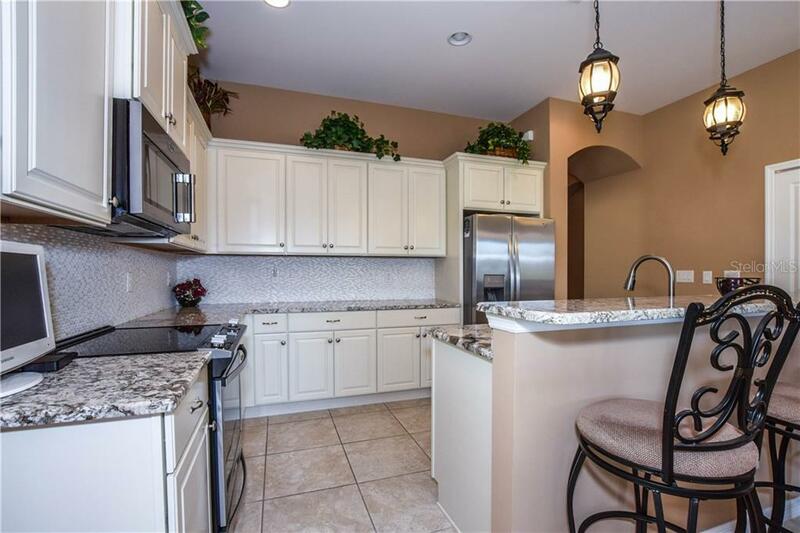 The stunning kitchen is a chef’s dream with ample granite counters, solid white wood cabinets and pantry. 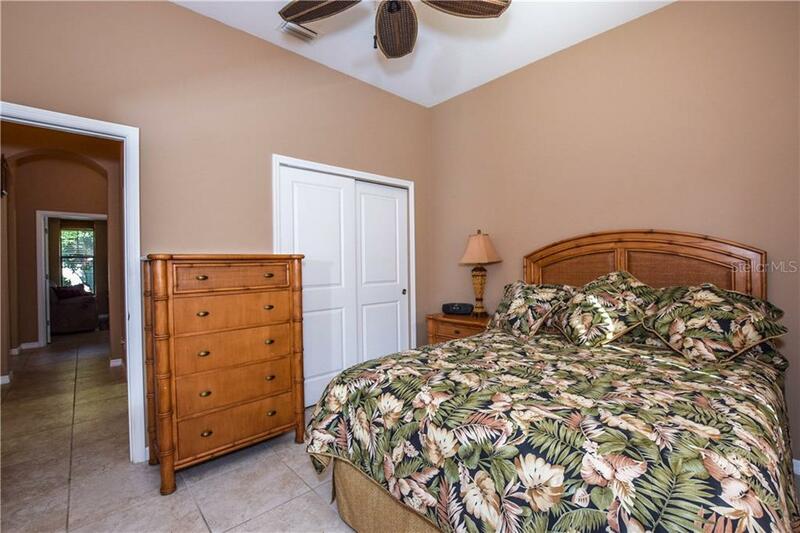 The owner’s suite has a large walk-in closet. 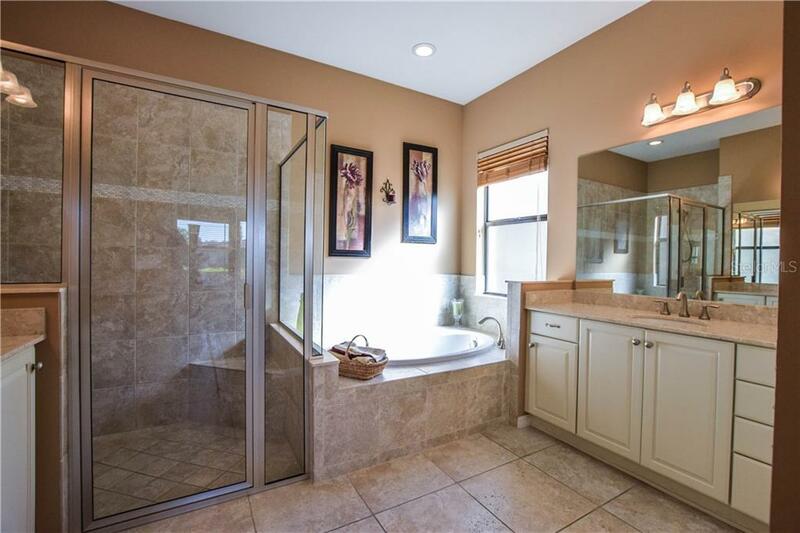 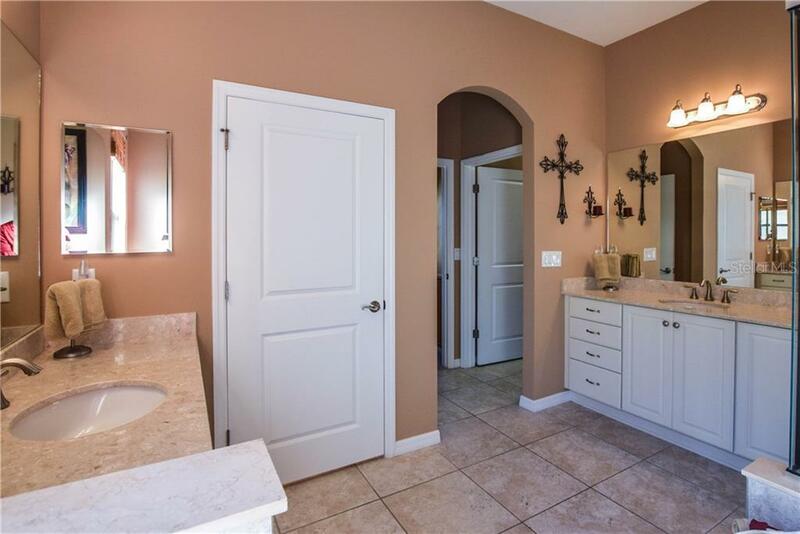 Master Bath has two sperate sink vanities, a large walk in shower and a soaking tub. 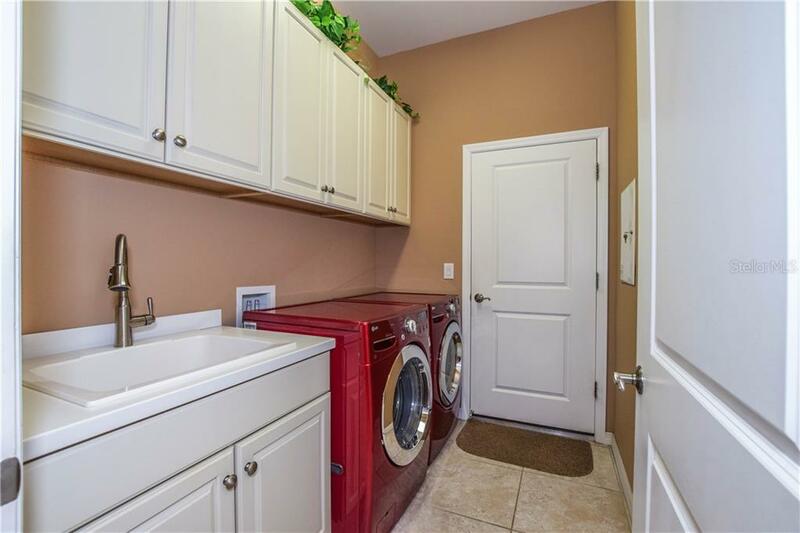 The Laundry room has added cabinets for extra storage. 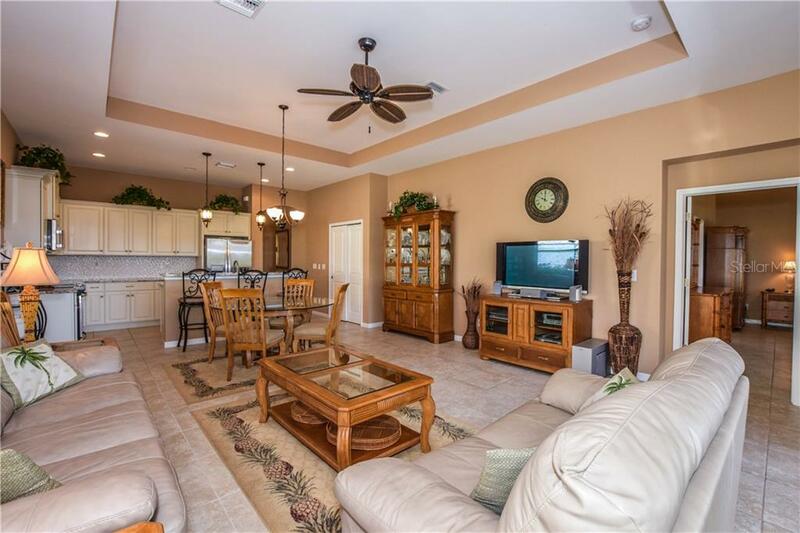 The exterior features of this home include rain gutters and screened front entry way to open-up the home to enjoy the Gulf Breezes, from the beautiful Gulf of Mexico, just 3 miles away. 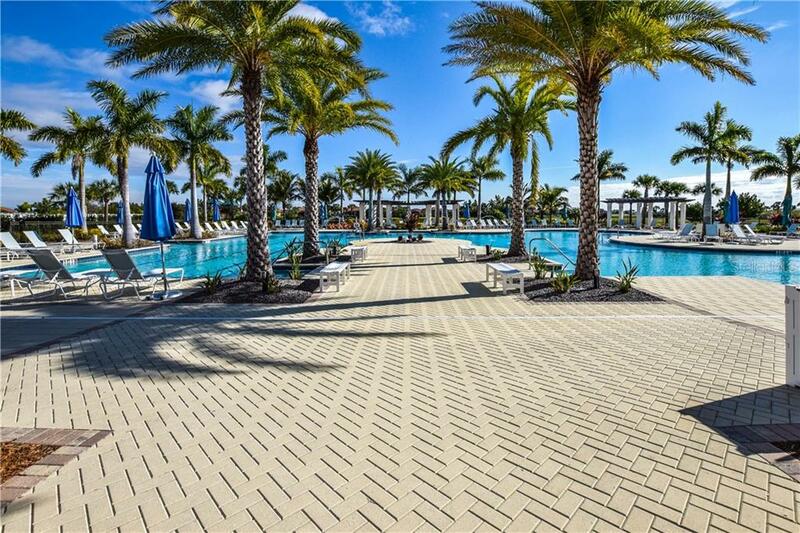 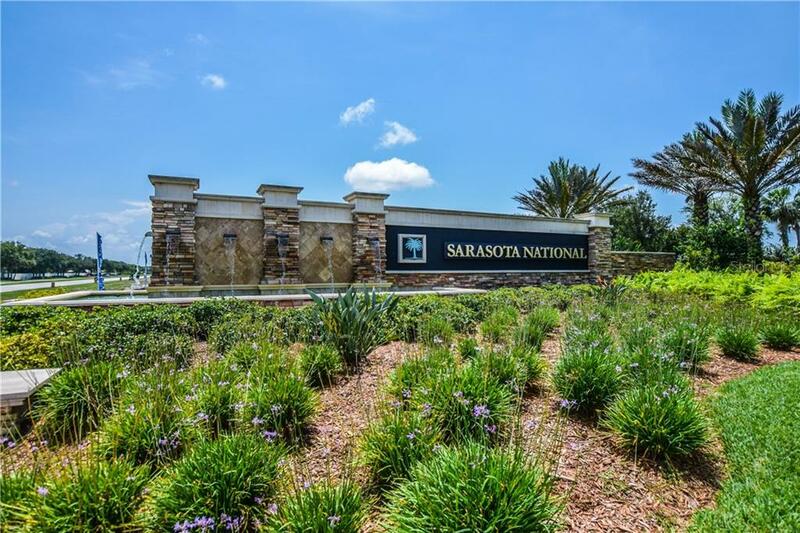 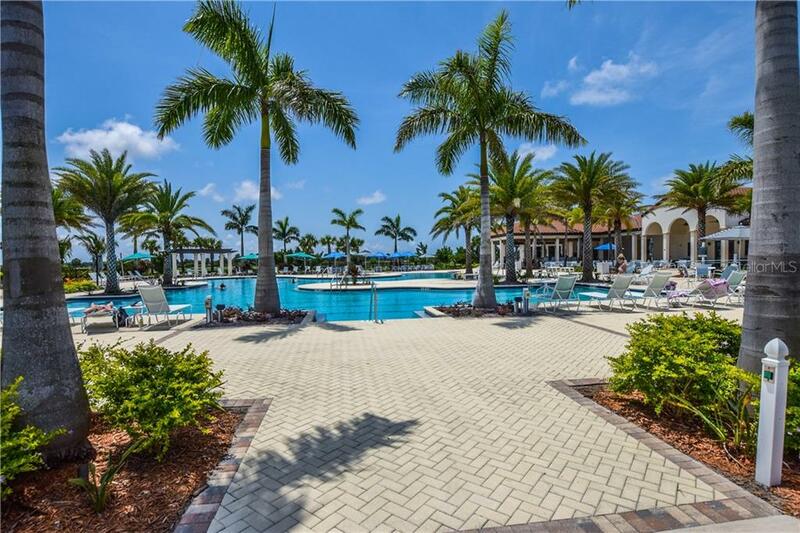 Sarasota National is true "Resort-Living". 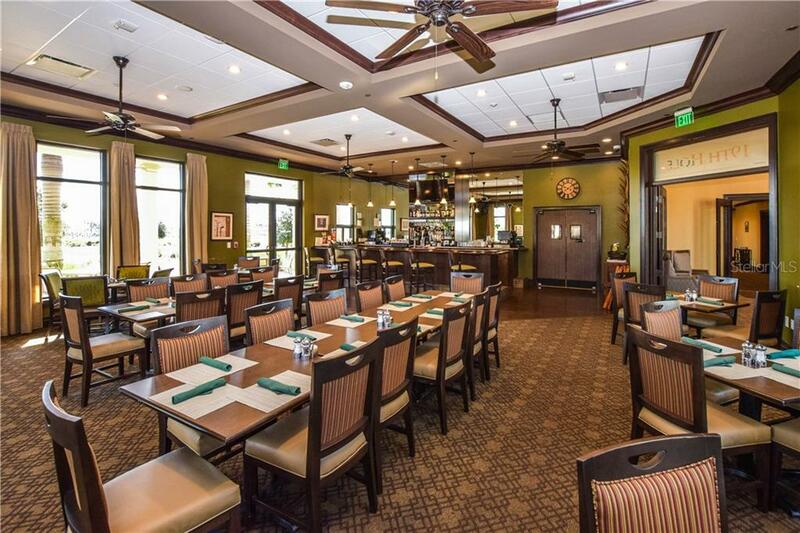 Why fight traffic when you can dine and play within your own community. 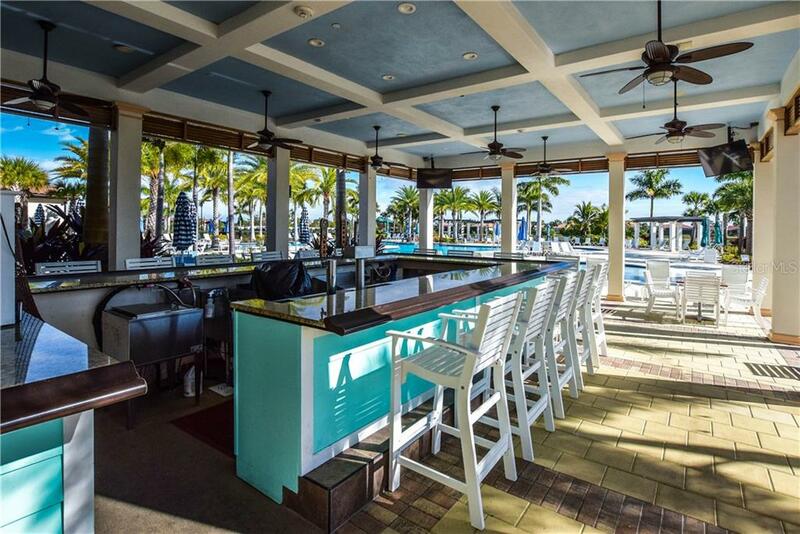 The resort pool is huge and the Tiki Bar adjacent to the pool serves lunch and beverages daily. 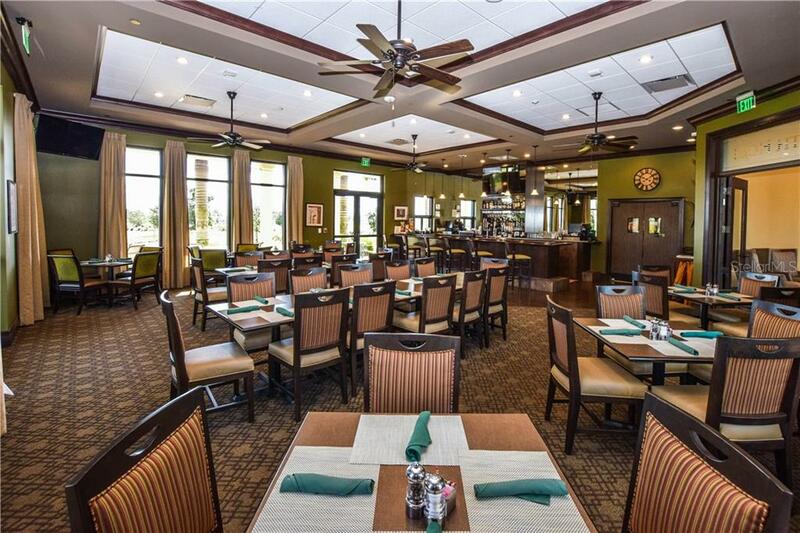 The Palm Lounge is open for dining and club events. 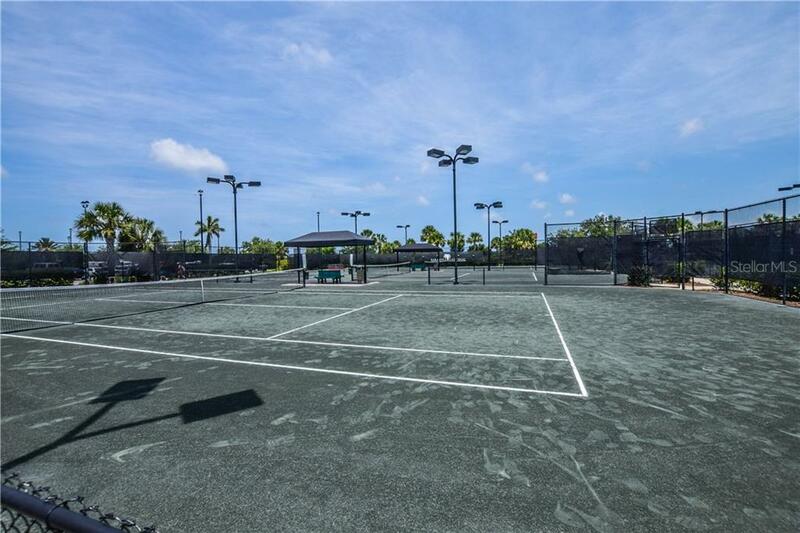 Pickle ball, tennis, coffee lounge, bocce and a 7000 sq. 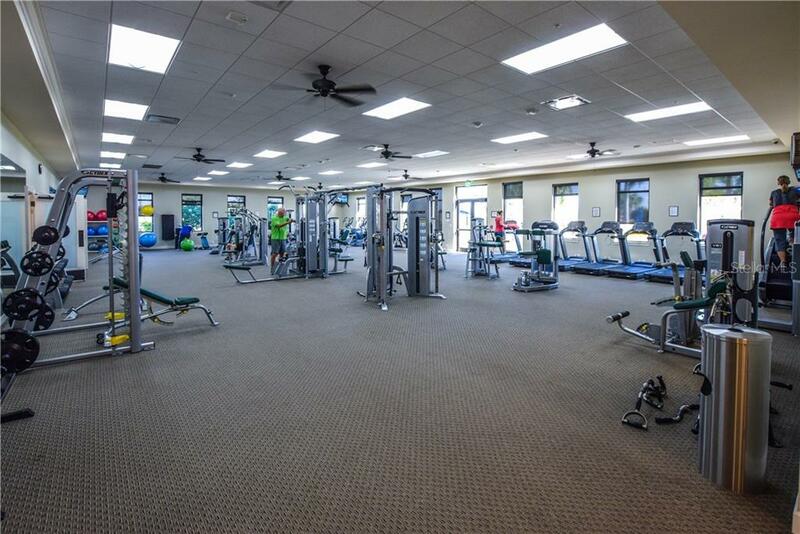 ft. fitness center all make this a beautiful community to live and play.